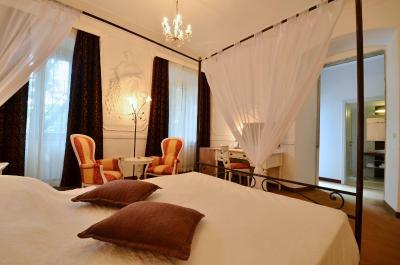 Lock in a great price for Boutique Hotel Kaštel – rated 8.9 by recent guests! The included breakfast was excellent and very delicious. 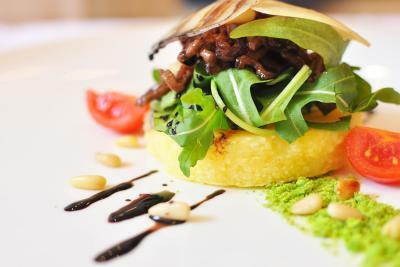 We ate one supper one night as well and the food was also good at dinner. 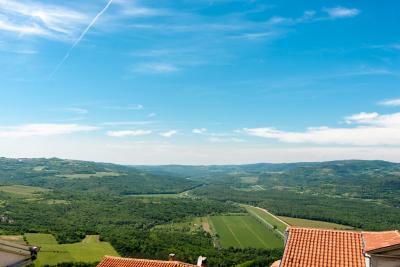 The location was wonderful and beautiful views of Motovun. It would be a very nice standard hotel... if it weren’t for the location. 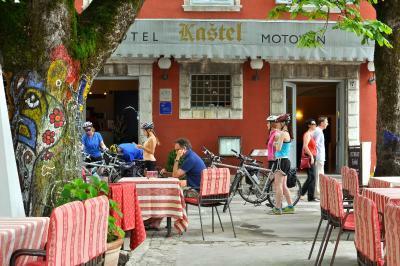 Right on top of the city of Motovun, it provides excellent comfort and services in a fairly rustic location. 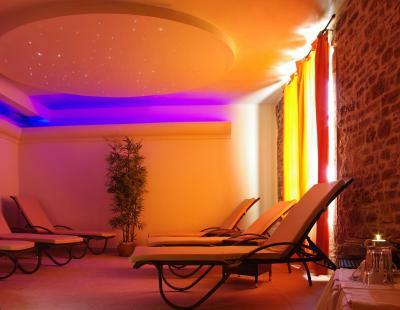 The price is more than fair for the amenities, although of course spa services and breakfast costs extra. a fine choice and we were happy with it. Beautiful views on top of the hill. Organized parking - we drove up to near the old wall and then were driven up the final leg - a very entertaining ride with a great driver. 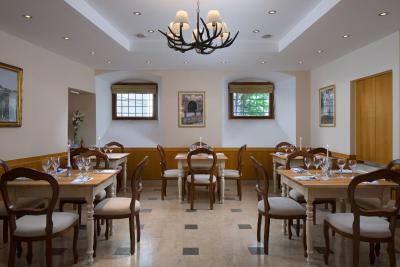 Very nice restaurant and garden in back. Great location, Staff is outstanding, can't say enough about the hotel and the location. Very relaxing. 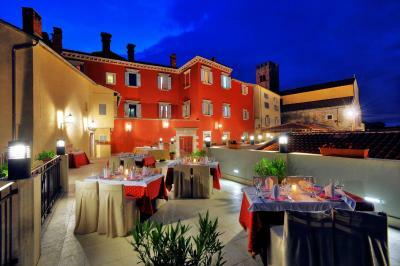 The hotel is beautifully located at the very top of the hilltop town of Motovun, just off the main (but quiet) piazza. We had very good pasta and wine at the restaurant. We also thought the hotel was a good value. 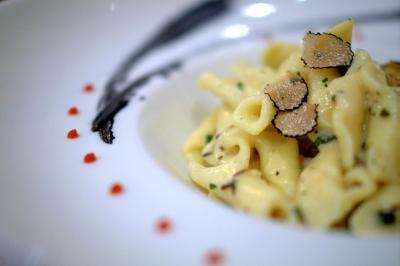 The scrambled eggs with truffles offered with the normal breakfast are just wonderful. The stuff is really friendly and offers any help that is asked for. 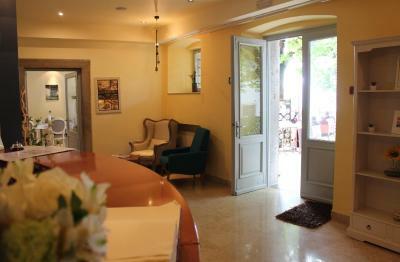 The hotel is situated in the town square of the hilltop town of Motovun. Access by car is prohibited but the hotel collects you from the bottom carpark. The system is quick and efficient and the staff friendly. 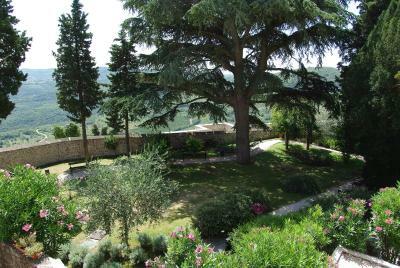 The hotel was great and our room was large with a balcony overlooking the valley below so very special views. 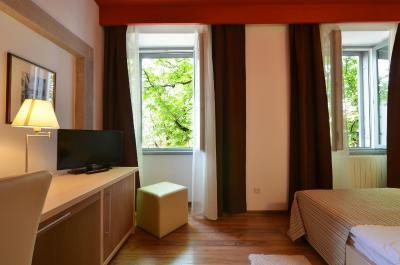 Room very clean and tidy with floor to ceiling windows so we could savour the views. 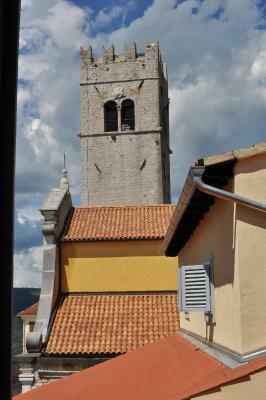 Motovun is small and fascinating and has a few restaurants cafes with terraces to enjoy the spectacular location.Also has a few shops selling local products from the area.We enjoyed our stay very much. 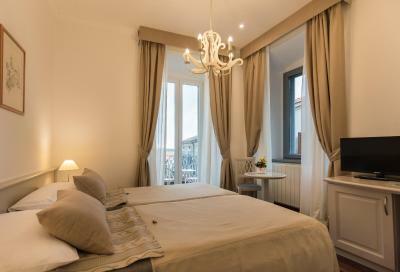 Boutique Hotel Kaštel This rating is a reflection of how the property compares to the industry standard when it comes to price, facilities and services available. It's based on a self-evaluation by the property. Use this rating to help choose your stay! 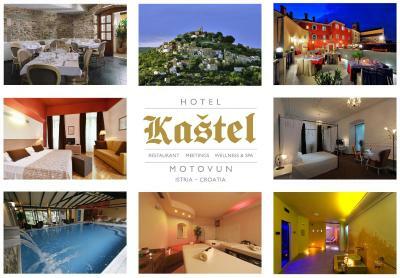 Featuring an indoor swimming pool and à-la-carte restaurant, the family-run Hotel Kaštel is set at the top of a hill in the center of the medieval town of Motovun. 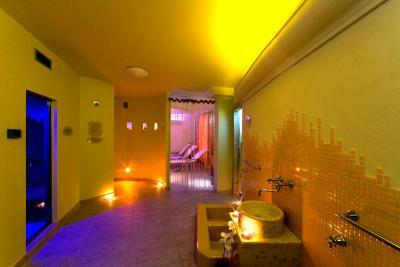 Its guests can enjoy spa area with a sauna, a relaxing garden and various massage treatments. 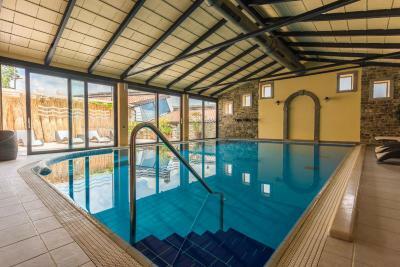 The wellness and spa area as well as most of the hotel rooms offer views of characteristic central Istrian landscape, the valley of the river Mirna and the famous Motovun vineyards. Amenities in each accommodations unit include air-conditioning, satellite TV, a telephone, free Wi-Fi internet and central heating. 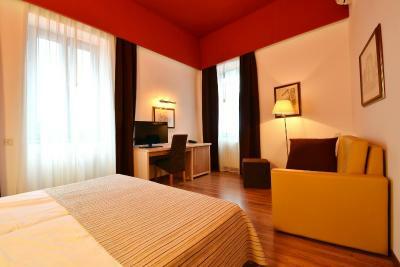 All rooms consist of a bathroom with bathtub or shower and a hairdryer. Hiking and biking opportunities can be found in the vicinity. Biking trail called Parenzana passes through the most beautiful and hidden parts of Istria. 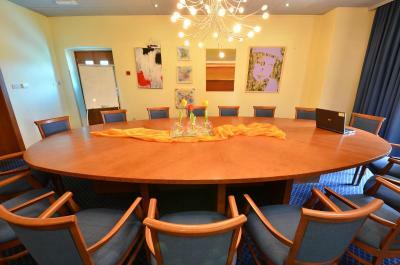 Various tours and daily activities can be organized by the property. 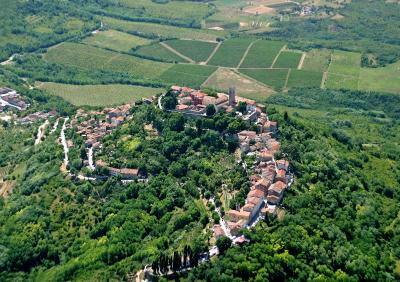 From Motovun other neighboring villages such as Grožnjan, Oprtalj, Završje and Hum, can easily be explored. 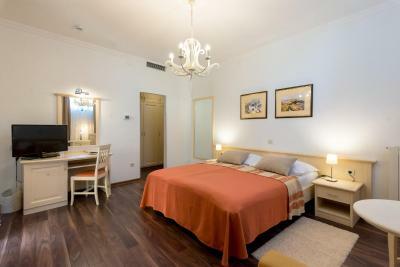 The distance to the beach is 19 mi from the Kaštel Hotel. Pula Airport can be reached within 44 mi and Rijeka Airport is at a distance of 62 mi. 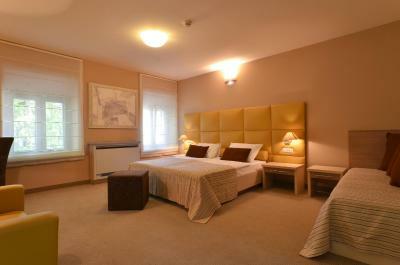 When would you like to stay at Boutique Hotel Kaštel? 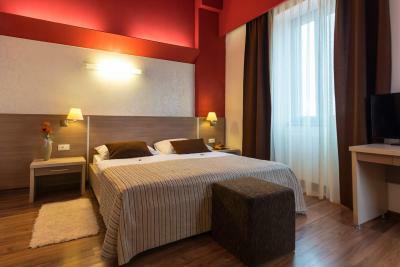 Individually decorated air-conditioned rooms featuring satellite TV and a private bathroom with a hairdryer. 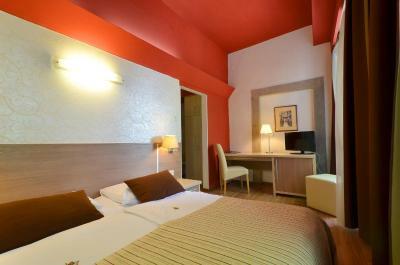 Individually decorated air-conditioned rooms featuring satellite TV and a private bathroom with a hairdryer. 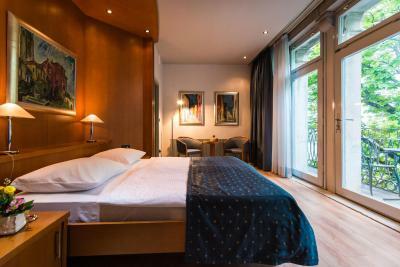 These spacious rooms have a balcony with views of the surrounding landscape. 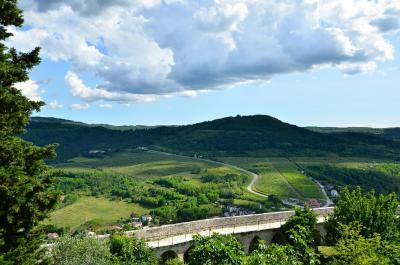 Dear guests, Welcome to Motovun, an ancient Istrian town located in inland Istria which has been attracting people from all over the world for centuries because of its location and exceptional beauty. We are offering you the best we have: quality accommodation, gastronomic delicacies of our region and quality wine, complete relaxation in our wellness center and recreational and cultural contents. 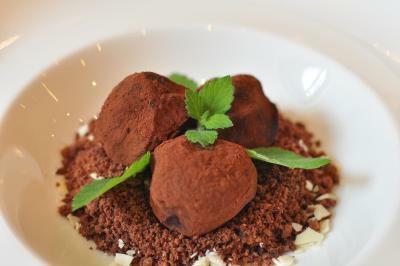 We hope to have the honor of being your hosts and to fulfill all of your expectations. 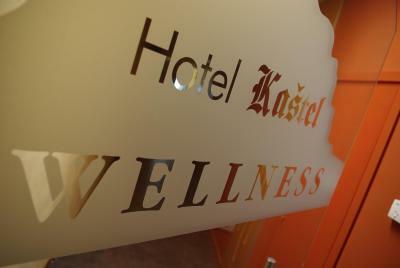 Welcome to Hotel Kastel! 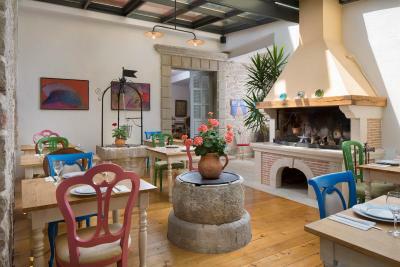 House Rules Boutique Hotel Kaštel takes special requests – add in the next step! 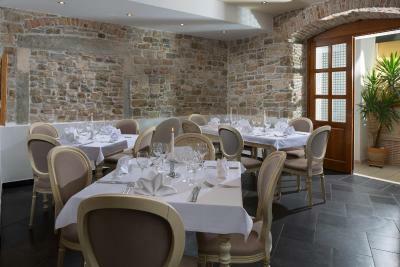 Boutique Hotel Kaštel accepts these cards and reserves the right to temporarily hold an amount prior to arrival. 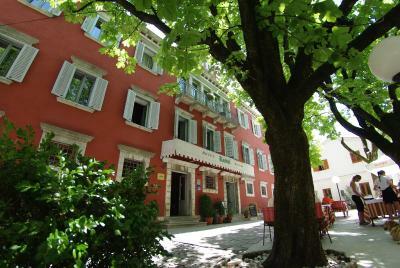 The hotel is located in the center of Motovun Old Town and guests are kindly requested to contact the property to arrange pickup by hotel staff. Free public parking is located 150-1,150 feet from the Hotel (reservation is not needed). A house with incredible potential. Please, keep going to exploit it. I made reservations in January. We were assigned to the ONLY room on the third floor. After taking elevator to second floor, you slide back a door with 22 steep wooden stairs, without hand rails to our room. My husband is 77 years old with bad knees. It was about 80 degrees and the AC was inoperable. The phone was inoperable. They brought us a fan to place on the desk. We did not sleep all night and chose to leave in the morning. They offered us an upgrade for second night but refused to refund our money. They refused to let us talk with the manager. We stayed one night and were charged for 2 nights. I did not think the breakfast lived up to this lovely hotel.The breakfast room is delightful but the breakfast just did not work for us. The bread did not seem like it came from a bakery and was very chilled. The cold meats and cheeses again were so cold it affected the taste.Unfortunately the eggs were cold too. Coffee was bitter. I think they could do a lot better. The wifi works well. The bed is very comfortable. The staff is helpful. The road is being fixing at that time and the staff give us a good suggestion to get the right place. 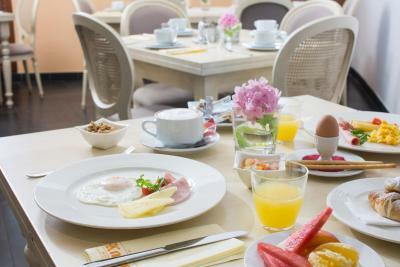 The breakfast is really good. We thought the hotel could use some updating. Amazing hotel for weekend getaway. Hotel is located on the top of the hill from witch you can see a beautiful view. It has a very nice spa, where you can have massage or have a swim in an indoor pool witch is connected with a back garden. Superb breakfast with a variety foods that you can chose from (I really hate grilled cheese but besides everything else they had most amazing grilled cheese sticks). Fur sure I will come back for a weekend.